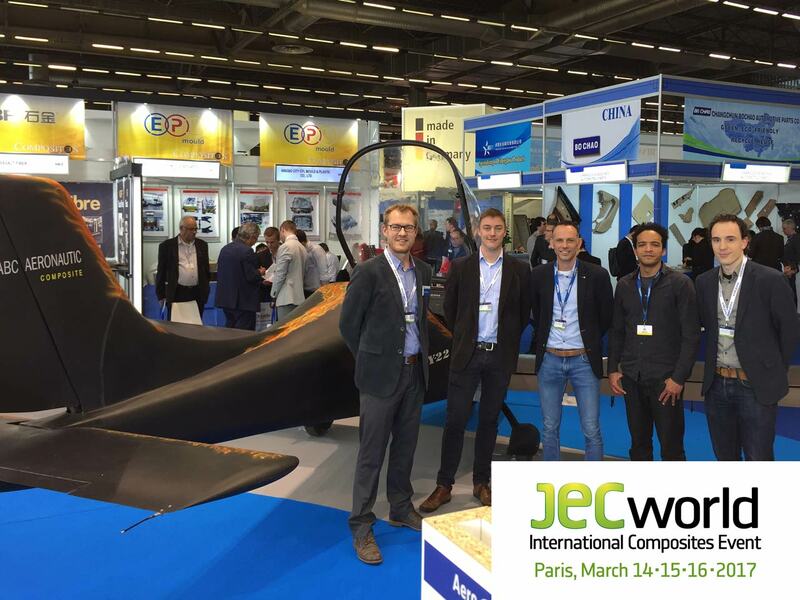 As in previous years, Inholland Composites attended this years edition of the JEC World in Paris. This international composites annual event has been growing significantly in the last years and a committed representation from Inholland spent 2 days at the exhibition with a delegation of 5 people. Besides giving an interesting overview of the state of the art in composite technology and business, the JEC World 2017 offered an excellent starting point for exploration of new ideas for our RAAK project ‘first-time-right injections for the production of one-off or small series of composite products’, where Inholland Composites will embark on a 2 year research project with partners University of Applied Sciences NHL and about 12 SME’s from the Dutch composites industry. Ricardo Vossen, graduate student Aeronautical Engineering: “It was a great visit for me as it showed great demonstrations many companies across all fields of the composites industry. Seeing their innovative solutions here in Paris confirms the needs from the testing market as I am currently investigating for my research project on automation of dynamic testing“. Arnold Koetje, Programme Manager at Inholland Composites: “We just received funding for a new research program on first-time-right injections for the production of one-off or small series of composite products. I get very inspired by the novelties that the industry is demonstrating here at the JEC. The trip over here made by some of us with a bus filled with colleagues from the Dutch composites Industry made our journey to Paris very rewarding”. Watch the following video for a 3-minute impression of Inholland Composites at the JEC World 2017. Antoine Gerritse, head of the Inholland Composites department: “We are considering in participating next year at the JECworld 2018 edition with our own booth to demonstrate the recently delivered developments together with partners. Contact us in case you are interested to join”.